The good part of Friday Favorites: I get to look over all the fun things I discovered over the past week. The bad part? I keep seeing the dates tick past each Friday and wonder where all the time is going. Can the world slow down for a second, please? Anyway, here are my favorites for this week! 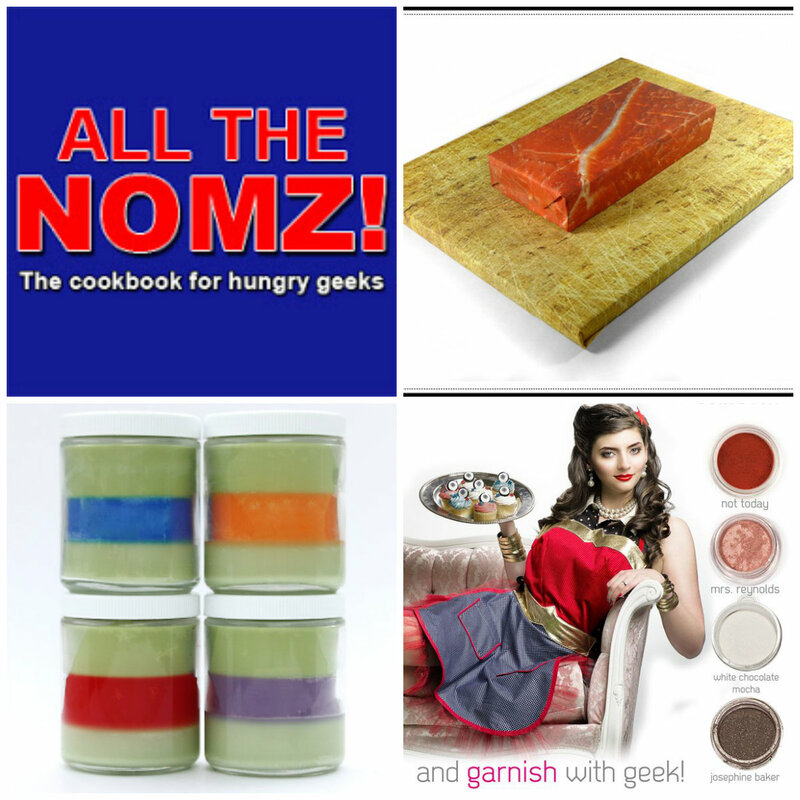 All the Nomz is a cookbook full of recipes by celebrity geeks. You can download it for a small donation to Child’s Play (they suggest $5). Delicious food, awesome geeks, and supporting Child’s Play? Amazing! Find it at AlltheNomz.com. These candles are colored, scented (and some are shaped!) like your fave geeky/pop culture characters and objects. I’m in love with the TMNT collection that all are scented like various herbs used to make pizza. Amazing, right? I’m going to pledge for one candle, then probably buy more once they’re officially out. (But don’t tell Mr. Geek. He seems to think I have enough candles, like that’s a think that can happen.) Donate here. I’ve been playing around with the Geeky Hostess collection and experimenting with different things you can do with them. Holy cow, it’s versatile. I’m excited to keep exploring! You can pick up a set of your own at the Geeky Hostess store.